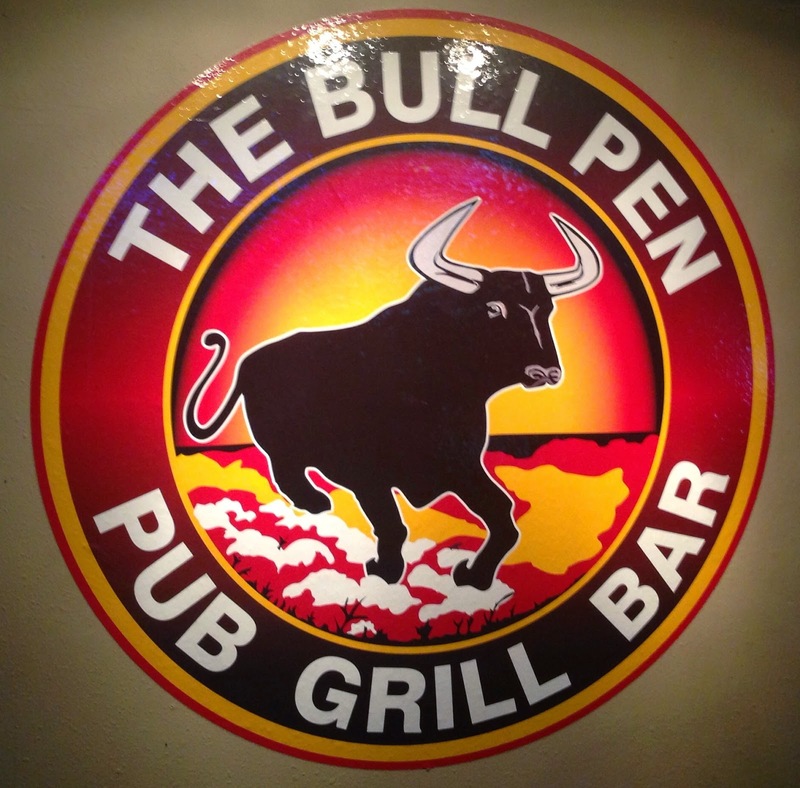 Update: After a fire in August 2016, the Bull Pen Facebook page announced that they would be closed for "3 to 8 months" for repairs. However it has remained closed several months longer than that. 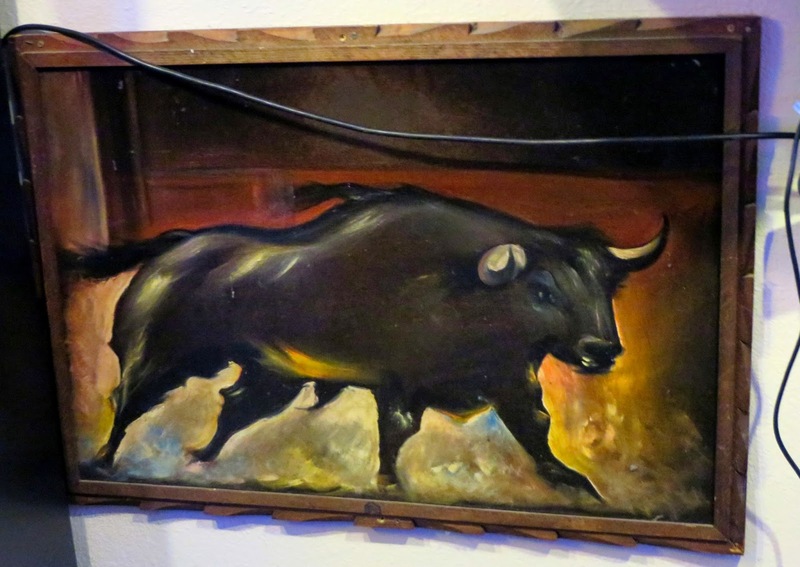 The Spanish style building and various references to bulls make this feel like a Mexican restaurant, but inside it is one of those medium-sized, suburban, neighborhood bars that caters to desires to the desires of the locals. 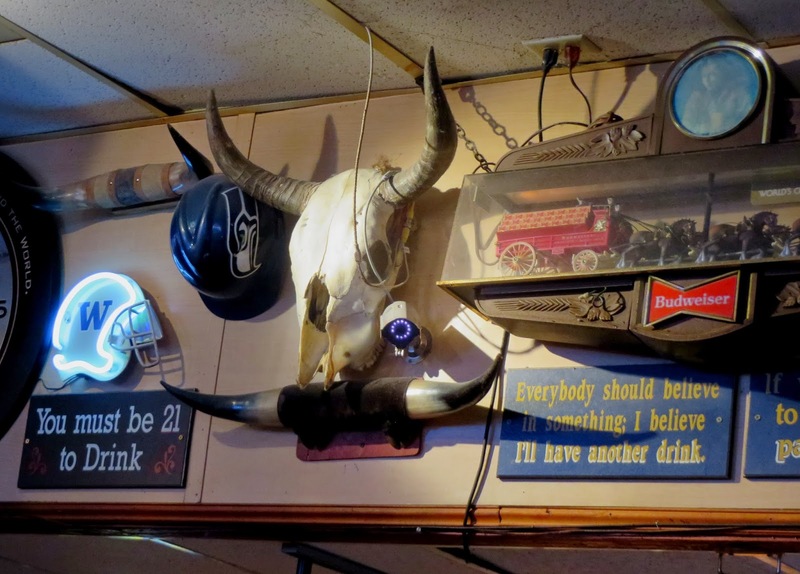 That means American bar food (steaks, burgers, fried food, breakfast), dive bar drinks, a nice selection of beers along with crappy ones, and above all, sports on TVs and karaoke every night. City guide records of these suburban areas are spotty, but at least briefly a bar called The Camel Rider operated here in the mid 60s. 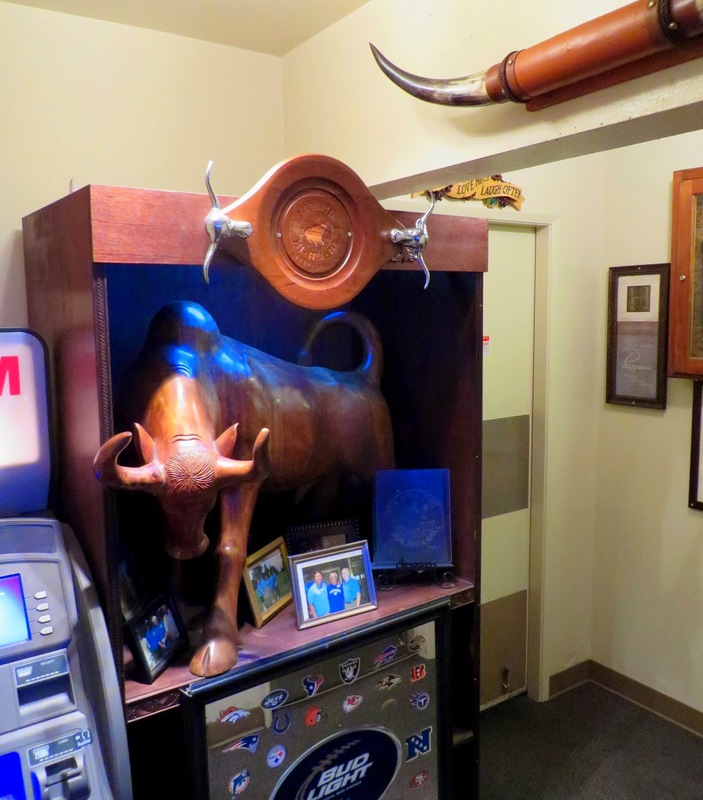 Don Liberty established the Bull Pen in 1981 and has owned the place ever since. 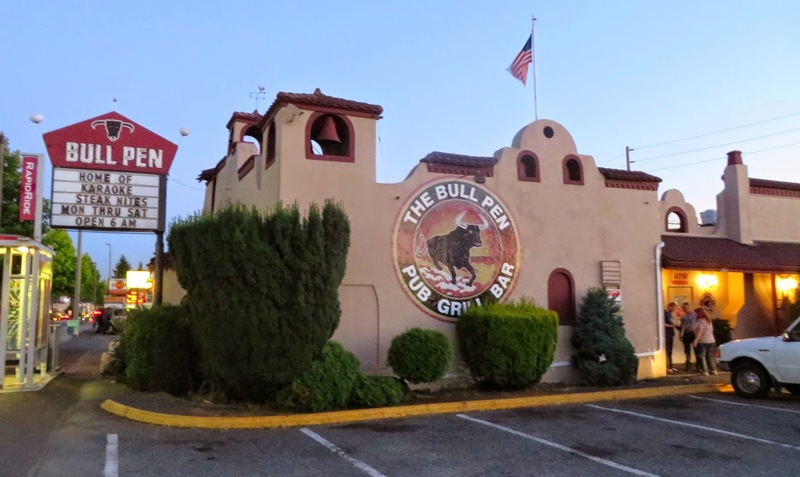 He and wife Margaret previously owned Liberto's restaurant in Tukwila, and briefly expanded into the Bull Pen II in the old Flame Tavern location in Burien (now Fiesta del Mar).